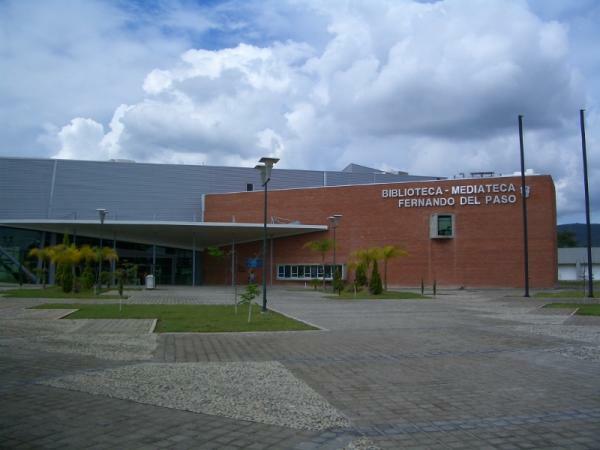 The library building of the University of Guadalajara's local branch where I occasionally audited an anthropology class in Ocotlan, Jalisco. Fascinating! A great little school in Western Oklahoma where I finished my Associate's degree after starting at University of Central Oklahoma (formerly Central State University). A genius I am not. You didn't need me to tell you that. However, I often crave a mental challenge. If things get boring, I get distracted and cranky. My life has been characterized by one form of mental challenge or another from the beginning. Fortunately, I've been given opportunities to exercise my mental muscle. I learned Spanish and became fluent by the age of 22 or so. I attended a three year Bible school and finished an Associate's degree in secular university (next stop: Bachelor's degree). I've been fascinated by computers and programming/software, so there's a consistent learning curve happening. I even switched to Apple's Macbook for a few years to familiarize myself with that branch of technology. I'm dabbling with Linux's Ubuntu and other versions. I occasionally audited a college class while I lived in Mexico. Studying for my insurance license was invigorating and I'm sure the following education in sales will be equally challenging. I've said all that to say this, I can't get enough. Hopefully, when I'm 90 I'll still be learning things and stretching my mental muscle in new ways. I've always admired the people who kept on learning. I don't consider myself especially bright. However, I believe I can learn almost anything. I'm so glad MY blogs are NEVER about me!!! I took Spanish in high school (in the Ice Age)--I remember the book was "El Camino Royal" and every morning we would say "Como esta usted?" and answer "Muy Buen y tu?" I really didn't learn Spanish until 10 years later--my first partner was Cuban and first taught me all the curse words! (I would blush if I told you the first phrase he taught me!!) I did become pretty fluent in it but has been awhile since I have spoken Spanish. See I never talk about myself. PS Whether you like it or not you will still be learning at 90--if nothing else about all the aches, pains and ills that come along with being 90--even 70!! Isn't it great? I'm encouraging Jennifer to take a few classes at Rose State as soon as thing settle down a bit. Yes, the MyBloggers community is very supportive and close knit. I love to hear what you're doing ... it's not egocentric at all. As for the my genius gene, as regards computer technology, it keeps getting weaker and weaker. Or the technology is getting more complicated. So keep on learning. I, too, find myself falling behind the curve. It all advances so quickly, one would almost have to be a part of the industry to REALLY keep up.